Kodi Live TV Streaming and what IPTV Service to Use! » Kodi Live TV Streaming and the Kodi IPTV Service to Use! Kodi Live TV Streaming and the Kodi IPTV Service to Use! Let’s face it; television has turned a new leaf over the years. Back in the days, there wasn’t too much flexibility from the customer’s standpoint. Truthfully speaking, the balance of power lied in the hands of the broadcast network. They had all the liberty in the world to choose the time slots, the episodes, and everything else in between. The viewers had to turn on their television at the right time to enjoy their favorite shows. As you may have guessed by now, the right time was inevitably decided by the broadcast network. Unwillingly, we had to tailor our routine to their fallacy of knowing everything. Fortunately, a lot has changed over the years. There were some heartwarming reformations in the world of Internet that switched the tables in our favor. Unlike the past, viewers were no longer left at the mercy of broadcast networks. Revolutionary streaming platforms and applications such as FuboTV, Kodi, and few others changed the fate of the game. They gave viewers the much-needed control to choose what and when to watch. So, viewers were able to sit back and enjoy the favorite episodes of their choice at their desirable time slot and not watch “whatever’s on”. It turns out that these online streaming resources provided viewers with the greatest trade-off that they could have ever asked for. Stream thousands of live TV channels and video-on-demand on your Android Box with these IPTV providers. We recommend Epicstream as a first provider.
. Stream TV episodes of South Park, Empire, SNL, Modern Family and popular movies on your favorite devices. Coming back to streaming platforms and applications, Kodi is one of best ones out there. This revolutionary product is a bombshell by itself. It can play just about any file format out there on practically any modern device. To set the record straight, Kodi is not a physical device. By itself, it’s open-source software that’s freely available to the masses. It essentially transforms any smartphone, computer, or tablet into a digital streamer or set-top box, giving users the ability to stream content from the Internet. Better yet, there is no licensing or any other curated garbage attached to it. Thanks to readily available add-ons, it directly pulls content into your bedroom or living room in a hassle-free manner. So, users are able to watch TV shows, movies, live sporting events, and much more on demand without any fuss. It’s both time-saving as well as convenient. Unlike traditional broadcast, you don’t have to wait for a specific time to watch your favorite stuff on TV. The built-in interface, downloadable add-ons and compatible IPTV services makes content streaming a simple and seamless affair. Simply put, it opens up a new world of entertainment for the viewers. You will mostly find smiles among Kodi users. Kodi’s ability to stream live TV via add-ons and IPTV services really sets it apart from the crowd. This might sound like an echo of all other posts that you must have read about Kodi Live TV. With its Live TV streaming possibilities, it is able to beef up its user base like nothing else in the market. Folks out there are going bonkers over it. Frankly speaking, people have gone head over heels for this software. All things considered, it’s proving to be an ideal solution to one’s TV viewing needs. It’s considered by many as the holy grail of streaming platforms. Furthermore, Kodi is perfectly safe and legal to use. Therefore, it won’t lead to wet eyes down the road. However, some unofficial Kodi add-ons can prove to be a bottleneck for Kodi users. 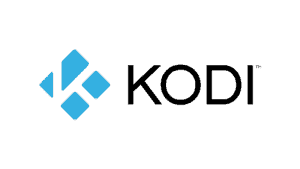 The fact that Kodi is an open-source platform, it’s possible to download a range of add-ons, which are known to extend the functionality of the core software. Unfortunately, some of them enter the ambiguous territory. So, the Kodi software isn’t notorious on its own, but some people have abused it for their own benefit. Therefore, it’s important to play your cards right while using Kodi to be able to enjoy all its benefit without any trouble. As such, Kodi’s developers are also keen to distance themselves from the foggy world of add-ons, which have already created a lot of ruckus for them. 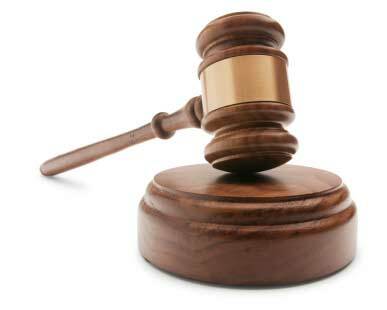 At the end of the day, the onus is on you to use the product safely and legally. One’s best bet over here would be to stay away from free add-ons because it can land one in legal trouble. Furthermore, not all of the free add-ons work properly. Above all, ignorance isn’t a valid excuse in the eyes of the law. So, you might land yourself in trouble even if you had no idea about doing anything wrong on intention. To sum it up, there is nothing illegal about downloading and using Kodi. The trouble arises when one uses certain Kodi add-ons, especially the free ones out there. Generally speaking, if you find a free add-on that provides film library or any other coverage that’s too good to be true, your BS-alarm should trip you that something should be wrong over here. So, you should stay away from these free Kodi add-ons, unless you are feeling too bold to mess things up for yourself. Even if you intend to use Kodi in combination with a paid IPTV provider, it is advisable to cover your tracks by using a VPN. Whilst not necessarily required, it does give many users peace of mind. We recommend having a look at PureVPN. It is very affordable and easy to install. That being said, to increase the possibilities of streaming Kodi Live TV content, users may have to point Kodi to third-party services because Kodi at the core only provides media playback capability, not content. Making use of a third-party service can cut the deal to enjoy all the streaming possibilities that Kodi has in store for the users. So, befriending Kodi is only the first step. It won’t be of much help without media to stream. As long as you know where to start, you should be good to go. To sum things up, at one end of the scale is limitless temptation to gain access to premium content, hundreds of live sports channels, PPV events, full HD view, and unlimited entertainment. At the other end is the legal threat, if things were to go wrong. Since add-ons are a necessary evil to gain extra functionality that you might not have otherwise, how do we play safe over here? Basically, what you need is a killer service with high reliability to make the most of Kodi Live TV streaming possibilities. Fortunately, there are quite a few reliable third-party services out there that are compatible with Kodi to offer high-speed content on demand without any logs or throttles. Before we get to the best player in the market, let’s understand how live TV streaming essentially works. For this, we need to know what IPTV (Internet-based Protocol Television) is because it has a major role to play in the paradigm shift of traditional network broadcasting to Internet-based streaming. IPTV is a system that makes it possible to deliver live TV channels from different countries of the world over the Internet. 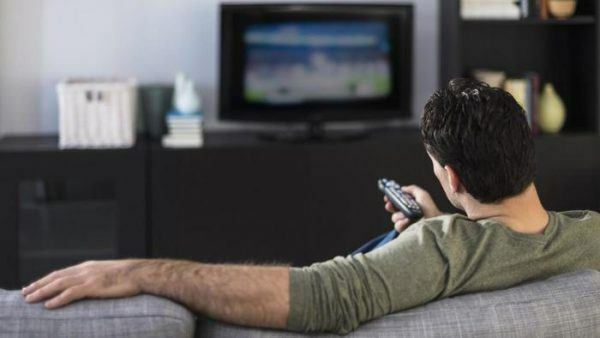 Simply put, it delivers digital television service to its subscribers through Internet protocol technology via broadband or Internet connection. Other than tuning into live events that are currently being aired, it gives users the added advantage of watching whenever and whatever they want. It stores programs on its servers so that users can watch them at will and wish anytime down the road. With Kodi gaining incredible limelight, the demand for IPTV add-ons for Kodi has also skyrocketed in the recent years. Today, the market is flooded with a host of IPTV providers that can turn Kodi software into an online streaming beast. The majority of the reliable ones out there provide access to vast amount of television shows, movies, live sports, pay per view events, and concerts. No matter which provider you choose, it’s highly recommended to employ a good VPN when streaming Kodi to make it a safe and private affair. For those who want to skip the heavy lifting involved in finding out the best player in the IPTV market can consider Epicstream. It’s easily one of the best IPTV service providers in the market for English TV whose claims can be verified for the most part. They offer more than 750 channels from the US, Canada, and the UK for streaming. Better yet, their servers are lightning fast. They include an impressive list of English and International channels as well as PPV events. Furthermore, they allow one to use multiple devices at the same time for a small extra charge. Their service is the closest you can get to a high-quality cable service provider, but for a fraction of its cost. Better yet, detailed and step by step instructions can help one get started within minutes. Above all, their customer support team really shines. The guys at the support desk are quick and helpful. So, one won’t have to throw an arm and leg to figure out things on their own if one runs into any problem at the time of installation or anytime later down the road. Above all, the quality of the channels is untouchable. That being said, there can be occasional buffering issues, but those instances will be quite rare. These issues might stem down to one’s own ISP, and they may not necessarily be Epicstream’s fault. On the whole, for $14 a year, Epicstream is a no-brainer choice for Kodi Live TV users. To be point blank over here, there is no perfect IPTV out there. Each IPTV service provider will come with tall claims, but their service will lag in one area or the other. Truthfully speaking, this cannot be seen as a major strike against the product. It’s just the nature of the game. As already mentioned before, Epicstream leads the pack over here. It beats the troublemaking free add-ons by a landslide and offers a stiff competition to the paid ones. So, it’s definitely worth considering. On the whole, Epicstream and Kodi are the way to go if you want reliability and dependability. Combined together, they are a cut above the scope to enjoy limitless online content streaming on demand without any fuss. Furthermore, they can provide you with a surefire way to cut the cable cord and say adios to the expensive cable bills. They enhance one’s ability to enjoy fast streaming of one’s favorite content like nobody’s business. They provide the content that one needs in good quality, high stability, and without digging a hole in one’s pocket. Overall, Epicstream offers the best bang for one’s buck. Without any arguments, they are the star of the show!